Based in New Bern, North Carolina, we serve Craven, Pamlico, and Jones counties. Operated by member artists themselves on an exclusively volunteer basis, our Gallery is a great place to discover distinctive, affordable art for your home or office--or to find a truly unique gift. Visit our Gallery page to see what's currently on exhibit--and on our easels! 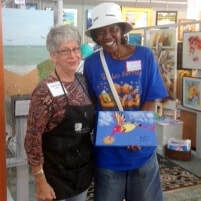 Community Artists Gallery & Studios supports and exhibits over two dozen artists. Our members are engaged in creating jewelry, photography, weaving, found object art, sculpture, ceramics, digital art, baskets, stained glass, macramé, woodcrafts, and watercolor, oil, and acrylic paintings. Maintain and enhance gallery and studio experience for artists. Explore innovative, relevant ways to connect the community with art and with creative cultural experiences. Build membership through branding and promotion. Community Artists Gallery & Studios is more than a gallery: it serves as a “home away from home” for makers of art. It provides not only space, but also inspiration, constructive feedback on work, and opportunities to present finished work to the buying public. The eclecticism of the Center provides exciting opportunities for a cross-fertilization of ideas, as well as inspiration, validation, mentoring, exposure, sales, and growth. Here, working artists who have not yet achieved wide recognition display and sell their work, building their experience and reputations. Thus, the Gallery contributes to local prosperity by providing a modest income for artists. The gallery’s commission (20%) on sales of art is held below the usual. That encourages sales and maximize artist revenues. With such comparatively low price points, Community Artists Gallery & Studios is a community resource, allowing access to the ownership of original art. The individual artists represented here may change—and in fact, are congratulated when they may “graduate” to their own individual studios or to a solo exhibition, thanks to a head start with Community Artists Gallery & Studios. 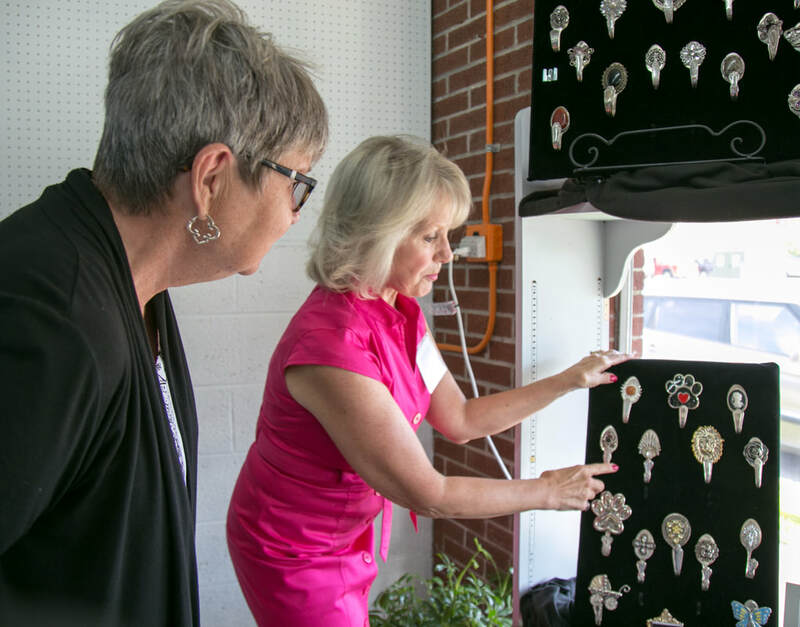 Deborah Phillips of Community Artists Gallery & Studios (pictured here with other volunteers) decorated new kiosks for New Bern's participation in the Little Free Library program in 2018. Community Artists Gallery & Studios regularly participates in joint cultural ventures such as the city’s monthly ArtWalk and ArtCrawl, connecting many different art venues and attracting residents and tourists alike. The Center also has held classes and workshops for paying and scholarship students. We hope to resume classes in the near future.